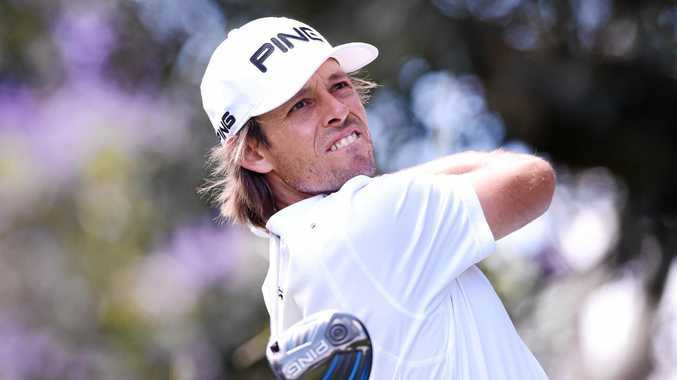 GOLF: When Aaron Baddeley stormed to victory in the 1999 Australian Open as an 18-year-old amateur - beating Greg Norman no less - and then went back to back in 2000, most pundits would have thought they had just seen a future world No.1. The Australian didn't quite get there, with a career-high ranking of 17 coming in 2008. But after breaking a five-year winless drought and in career-best driving form, the 35-year-old has set his own sights on rising to the top of golf's pile. He's got some work to do - being back in 149th spot - but is confident. "People can think 'Hey, that's a bit crazy' but honestly I think it's very attainable and I'm excited,” Baddeley said before this morning's first round of the 2016 Australian Open at Royal Sydney. "I don't see any reason why my goals should change just because I'm a little bit older. "I feel like the experiences I've got now are really going to hold me in good stead. I feel I'm driving the ball better than I ever have, even as a youngster. Baddeley looked finished in 2015, saying "literally I had no idea where the ball was going to go”. He said he resorted to some tutelege via YouTube, comparing his malfunctioning swing with that of Adam Scott, Jason Day and Rory McIlroy. "You're trying to look at all these guys and see what are the similarities and what's different with me and you're trying to figure it out,” Baddeley said. "I mean, it's just like torture because you're trying to figure it out. "Now, I've got a couple of keys that I just work on all the time and I'm just beyond relaxed with my game and with where it's at. Baddeley started the 2015-16 season playing in the Past Champions category after finishing 157th in the FedEx Cup and failing to regain his PGA Tour card. He earned his first win in five years at the 2016 Barbasol Championship in July, beating Kim Si-woo in a four-hole playoff. "I definitely think after 2000, if you said I'd only won four times on the PGA Tour I would've been surprised,” he said. "(Now) I know where my game is at. The guys I'm working with believe I can do that.